Current Affairs are very important for all competitive exams and interviews. You can go through the weekly current affairs series and also top 5 questions of the week. Regular reading of these current affairs series will improve your knowledge a lot. Also download the monthly current affairs PDF books which are available for free. 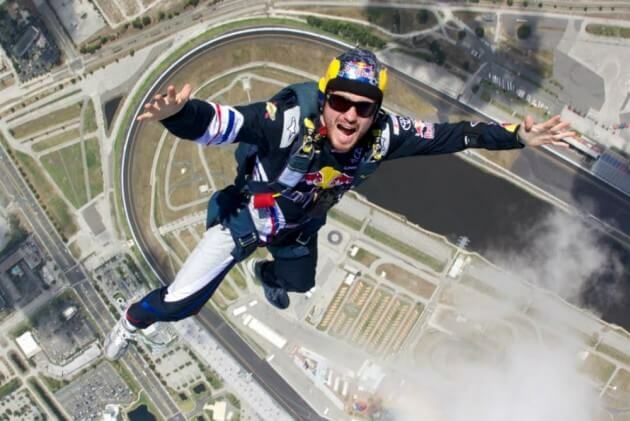 Luke Aikins: Luke Aikins, a skydiver with 18000 jumps, on 30 July 2016 jumped from 25000 feet (7620 meters) without a parachute or a wingsuit. With this he became the first man in the world history to dive from mid-tropospheric altitude and land safely without a parachute or a wing suit or anything else that might helped him stop or slow his descent. Yuriko Koike: Former Japanese Defence Minister Yuriko Koike on 31 July 2016 was elected as the first woman governor of Tokyo, the capital city of Japan. 2016 Kabaddi World Cup: International Kabaddi Federation on 31 July 2016 selected India to host The 2016 Kabaddi World Cup. The World Cup featuring 12 countries is scheduled to be held in October 2016, the dates for the event will be announced later. Lewis Hamilton: Lewis Hamilton of Mercedes on 31 July 2016 won the 2016 German Grand Prix held in Hockenheimring. Rani Singh Nair: Senior Indian Revenue Service (IRS) officer Rani Singh Nair on 1 August 2016 took over as the Chairperson of Central Board of Direct Taxes (CBDT). Anita Gopalan: Translator and artist Anita Gopalan on 25 July 2016 was awarded the 2016 PEN/Heim Translation Fund Grants for her English translation of Hindi novel Simsim by Geet Chaturvedi. Anant Maheshwari: Anant Maheshwari was on 1 August 2016 named as the President of Microsoft India by the parent company Microsoft Inc. Maheshwari will succeed Bhaskar Pramanik, who retires in March 2017. Pushpa Kamal Dahal: Communist Party of Nepal-Maoist Chairperson (CPN-MC) Pushpa Kamal Dahal 'Prachanda' on 4 August 2016 was elected the 39th Prime Minister of Nepal. Narsingh Yadav: United World Wrestling (UWW) on 3 August 2016 cleared wrestler Narsingh Yadav’s name for participation in the 2016 Rio Olympics. He will be participating in the 74kg weight category of the sport. Shubha Mudgal: The advisory committee of the Rajiv Gandhi National Sadbhavana Award on 30 July 2016 decided that the 23rd Rajiv Gandhi National Sadbhavana Award will be given to Shubha Mudgal. Nita Ambani: Noted sports promoter and founder chairperson of Reliance Foundation, Nita Ambani was elected as an individual member of International Olympic Committee (IOC) on 4 August 2016. She was elected by IOC members at the 129th Session of the world body in Rio de Janeiro. Youssef Chahed: Tunisia's President Beji Caid Essebsi on 3 August 2016 named Youssef Chahed as the Prime Minister of the country. Chahed's appointment came after parliament ousted Habib Essid in a vote of no-confidence because of his handling of economic reforms and security. Committee on household finance in India: The Reserve Bank of India (RBI) on 4 August 2016 constituted a committee to look at various facets of household finance in India. The Committee will be chaired by Tarun Ramadorai, Professor of Financial Economics, University of Oxford.